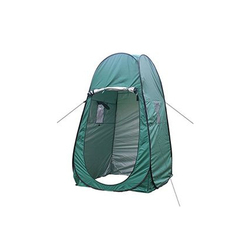 Our product range includes a wide range of camping hill tent, hill tents and outdoor hill tent. 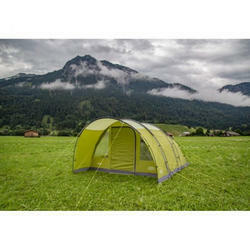 We are offering Camping Hill Tent. The walls are detachable and also can be folded half way. Windows with mosquito nets and open-able curtain are provided all around in the walls for better ventilation. Two doors are provided in the tent. This tents extensively used for dining hall for resorts/tented hotels. We manufacture these tent in many attractive multicolored cloth. We are a leading supplier of Hill Tents to govt. organizations, NGOs, etc. All our tents are designed developed keeping in view the end-user's comfort. We manufacture single pole tents that have a single room with detachable / attached wall as per requirement. These tents can be made with single or double roof as per the buyer's requirement. 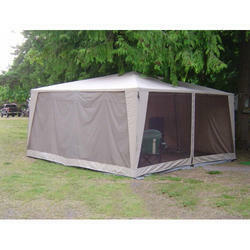 Two doors are provided which can be extended out side the tent to make a small porch supported on door poles. The doors are provided with interlocking facilities two windows with mosquito nets and open able curtains with interlocking facilities are also fixed. The roof top ventilators are fixed as per requirement specifications of buyer. The walls of this tent are supported with standing poles. We manufacture a wide variety of single pole tents that differ in color, size, dimension etc. We also manufacture utility tents like Outdoor Hill Tent that are a single roof tent with a centre height of 7ft (213cm) and wall height of 5.5ft (168cm) with zippered door provided on one side of the tent. The tent is supported by two standing poles and one ridge pole. These tents can be used as temporary toilets.